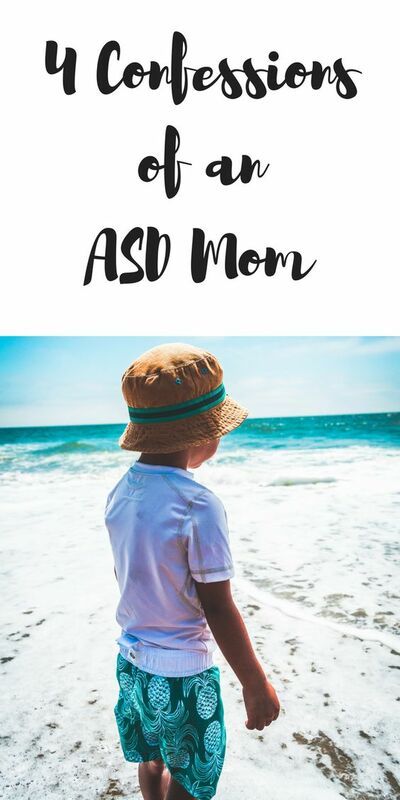 Autism Spectrum Disorder (ASD)—it’s difficult for me to express exactly what feelings stirred up inside of me the first time I heard these words in reference to MY child. My thoughts were one jumbled mess as I attempted to settle into the fact that we would be stepping into a new normal, one which my perfectionistic, well-thought out life-plan did not include. MY children were all supposed to be exemplary scholars who excelled in extra-curricular activities while maintaining high scores across the board in school. They would be obedient, healthy, emotionally sound, spiritually secure little people with undying love and support from their got-it-all-together parents. Let’s all take a moment to snicker laugh uncontrollably at my blissful ignorance. It’s never “convenient” or entirely pleasant to have the rug of euphoria ripped right out from under you… but it happens and here we are. So, what exactly does this new normal mean for us? This “new normal” is only a confirmation of what I have already known in my gut all along. Even from the very beginning when I held my firstborn baby in my arms, I knew he was different. And I don’t mean in the normal (whatever that is) “every child is different” kind of way. By golly, if the baby textbook assured us our baby would do something, he was sure to do quite the opposite. For example, my newborn did not nap… ever. He might surprise us with an occasional 15-20-minute power nap but that was the extent of it. And boy did he have a set of lungs on him which he took the liberty of exercising regularly. He was the purest definition of a colicky baby. The poor, little, anxious, over-stimulated child struggled to deal with life even then! As he grew and developed, we noticed more and more differences making their debut. He never stuck anything in his mouth like most crawling, exploring babies did. He would simply pick up newfound objects, turn them over in his chubby little fingers, and seem to study them for several minutes (sometimes longer) before setting them down to move on to the next object. On top of these differences, I realized even before he was two that his memory was extraordinary. With no help from me, our 20-month-old memorized the entire map of the United States of America. He was given one of those electronic maps that would ask questions and recite the names of the states as each state was touched. My boy would obsessively press those buttons over and over and over again, until one day I noticed him answering all of the electronic toy’s questions correctly. He knew where every state was located and learned them all on his own. His concentration and memory were remarkable. As he grew, I couldn’t help but notice all of his many quirks rising to the surface—the meltdowns, the OCD tendencies, the tics, the fits of anger. All of these were simply pieces to a bigger puzzle that took us seven years to piece together. But little by little it DID come together. This new normal is ultimately freeing. Finally, our boy will get the help he needs to not just get by, but thrive in school, at home, and in life in general. He will talk with counselors who specialize in ASD and anxiety disorders. He will learn how to adapt to every day social demands and will be taught techniques he can utilize when he begins to feel out of control. School will be a whole new world where he can learn and test in an environment that suits his individual needs. Freedom comes with this diagnosis. Everything will change, but then again everything will stay the same. My inquisitive little boy will still be enthralled by dinosaurs, maps, and numbers while other boys his age might prefer movies and baseball. He will still need extra words of affirmation (heck, even I need those at times) and assurance that it’s okay to be different. He will still receive love, consequences, and nurture as he matures, even though some of the techniques may be altered to better suit his needs. Overall, the biggest change is one we are embracing whole-heartedly… we will finally have the knowledge/education needed to guide our special ASD child. And you know what, knowledge is power! I’ve always known this statement to be true… but knowing and believing are two entirely different things. In my mind, placing a diagnosis on my child would do more harm than good. I feared the stigma that these words would place on my child’s back. To be honest, it all boiled down to selfishness on my part. I was like a little junior high girl terrified of what my peers would think and how they would respond to my child who wasn’t quite as “cookie-cutter” as all of theirs. I didn’t want them to see my son as he screamed and cried and hit himself because he couldn’t blow up a balloon like his friend could, and I sure didn’t want them to witness his full-blown meltdowns at Friday night football games when the numbers on the scoreboard were in favor of the opposing team. I did not want to believe my child was destined to be different. Different is scary. Different is hard. Different is… well… different. What I failed to realize was that different can be incredible. Just ask Albert Einstein, Thomas Jefferson, and Sir Isaac Newton who all fell on the Autism Spectrum too. Mind blown. When you finally are given resources and tools to allow you to understand how to help your child, there’s an overwhelming peace that takes hold of your heart. My child may be different, but that doesn’t mean he can’t learn; he just learns differently. My child may be different, but that doesn’t mean he won’t develop meaningful relationships; he just might take a bit longer to find that coveted best buddy. And my child may be different, but that doesn’t mean he won’t be able to cope with the challenges life hurls at him; he will just have to cope with them… you guessed it… differently. I might be new to all of this, but if there is one piece of advice I could offer someone else with a child who is a little “different,” it’s this: don’t fear a diagnosis. Instead, fear the absence of knowledge and, in turn, never being able to see your child thrive in his unique and extraordinary differences. When it comes down to it, different really isn’t all that bad, and a new normal is in fact “normal” nonetheless. Awww so glad to hear that, girl! Glad I met you too! As always this is written beautifully! My favorite line, “When you finally are given resources and tools to allow you to understand how to help your child, there’s an overwhelming peace that takes hold of your heart.” I love your honesty and vulnerability in this post and I’m so happy that your little man is finally getting the help he needs to succeed! Thank you so much for your support. It means the world! I’m so thankful, that God has chosen you both to be his parents. I have no idea how you must have and at times feel. But I do know the might God we all serve! Thankful you have answers and resources. My first cousin, got this same diagnoses about a year ago, although he was couple of years older. The resources and support they have, has been remarkable. I expect nothing less for all of you. Thank you so much for the encouraging words, Mrs. Melissa! Your prayers mean a lot! This is an AWESOME read. He is just like God made him. God picked 2 fine and God fearing people to be his parents and my family gets to call them friends. We love you all and are praying for you all. Thanks Kenny! We love y’all! The girls miss him so much. Emma talks about him some. She mostly just comments “I hope Bryce likes his new school” He is an awesome child always has been. I am glad you have answers. We love ya’ll and pray for you often. He misses all of his Samson friends so badly! And we miss y’all lots. Thank you for the prayers! This melts my heart I’m so many ways! Bryce has 2 amazing parents and I am so thankful that you have some answers!! I know this blog will help so many others!!! Thank you for all your love and support. Bryce loves Ma Sherri… and so do I! As always, beautifully written Stephanie. I have tears in my eyes this very moment. Bryce will be fine because of two things. Jesus who is our redeemer and salvation and because he has loving parents who will always strive to do and be the very best for him. He is one of the smartest little boys I know and I always enjoy our conversations when we get to visit. I love you guys and I know Bryce will go far because he has a mother and father who embraces the “New Normal” and runs with it. God Bless your beautiful little family. Love ya’ll bunches. Thank you for the encouragement. He sure is a special little boy who loves to talk… I am very thankful that he loves people and wants relationships despite being a little bit awkward socially! Haha Love you too! Momma always said, “Normal is just a setting on the dryer.” Thankful for the inspiring testimony. I love you and my precious nephew, Bryce so much. I know God is going to continue to use him for His glory. His journey is far from over and your new “Normal” brings hope! I love that saying… so true! Thanks for all your love and support, sis! I love you all so much. “What is normal?” Is a great question. He’s a perfect little boy with autism. Period. God bless y’all as you learn from others who’ve taken this journey and from professionals the very best ways to bring out his most awesome potential. Thanks for the encouragement! Who really wants to be “normal” anyway?! It will be a joy for you to watch him thrive when he gets the tools he needs to deal with life! New normal will be good! I found your blog through your Aunt Bonnie Ray. I have a 10 year old daughter who is autistic. I am looking forward to reading more of your posts. I’m so glad you’re here! I know I’ll be sharing more about this journey in the future. It’s always nice to know I’m not alone in this. I hope you’ll feel free to share your own experiences with your daughter in the comments of any of my posts… people need to see that there is a community of us who can encourage one another. Looking forward to hearing more from you!